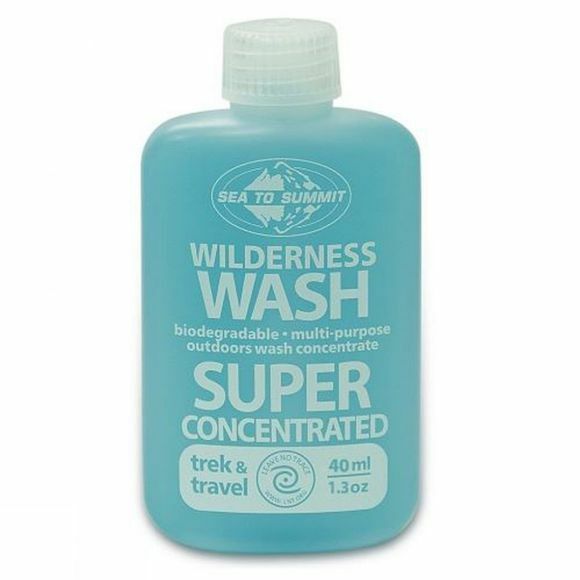 Wilderness Wash from Sea To Summit is a safe and effective way to keep you and your equipment clean when out in the wilderness or just away at camp. As a multi-purpose wash, it is not only gentle on skin and fabrics but will also help you clean the dishes or remove any laundry stains. It comes in a tough little bottle that won't leak or break in your bag and is airline carry-on compliant. The formula is super concentrated so a little goes a long way and is completely biodegradable and environmentally-friendly.